This article follows on from my previous posts on Energy Performance Certificates and gas certificates. Today we look at section 3 of the regulations here. I should perhaps start by apologising for the fact that this post may either make you feel as if you want to gnaw your own arm off or alternatively may make your eyes glaze over, permanently. I know, I felt a bit like that when writing it. Let’s take it in parts. First of all – what about the section title? I forsee that this is going to cause endless confusion, because to most landlords ‘prescribed information’ means the tenancy deposit prescribed information (which is also required for section 21). So in future we are going to have to spell out which prescribed information we are talking about. Others have criticised this requirement, saying that the booklet is really aimed at people looking for accommodation rather than those who have already found it and are about to sign the tenancy agreement. 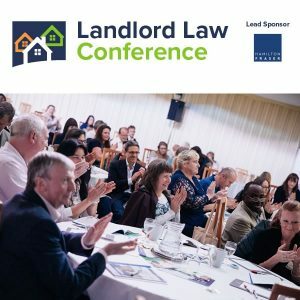 However, I don’t agree – I think it has a lot of helpful information which tenants need to know about their rights, at all stages of their tenancy. For example, many tenants will be wholly ignorant of the tenancy deposit protection rules and the need for gas safety certificates, and it is right and proper that they should be given some information about it. Sometimes Government comes up with a good idea. I think this is one of them. In principle. But there are major problems in the practical implementation of this requirement. One problem is going to be knowing, months or (for tenancy agreements with a long fixed term) years after the event, whether the booklet served at the start of the tenancy was actually the current version at that time. Nearly Legal have indicated that thy may be keeping copies of all versions for people to check. Certainly SOMEONE will have to do this, as this will no doubt become a popular defence for tenants being evicted under section 21. But it should not be left to a blog run by volunteers to do this. (b) where the tenant has notified the landlord, or a person acting on behalf of the landlord, of an e-mail address at which the tenant is content to accept service of notices and other documents given under or in connection with the tenancy, by e-mail. As the Dept are not going to publish the booklet in ‘hard copy’ form, to serve a ‘hard copy’ you will need to print it out yourself. Generally the best method of proof of documents is to get the tenant to sign and date a physical copy to show receipt. An email confirming receipt of a document sent via email would probably suffice now in most cases. 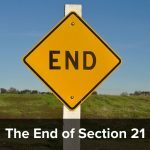 However, if you are about to serve a section 21 notice on ‘difficult tenants’, probably re-serving the booklet (in physical form) at the same time will avoid problems. 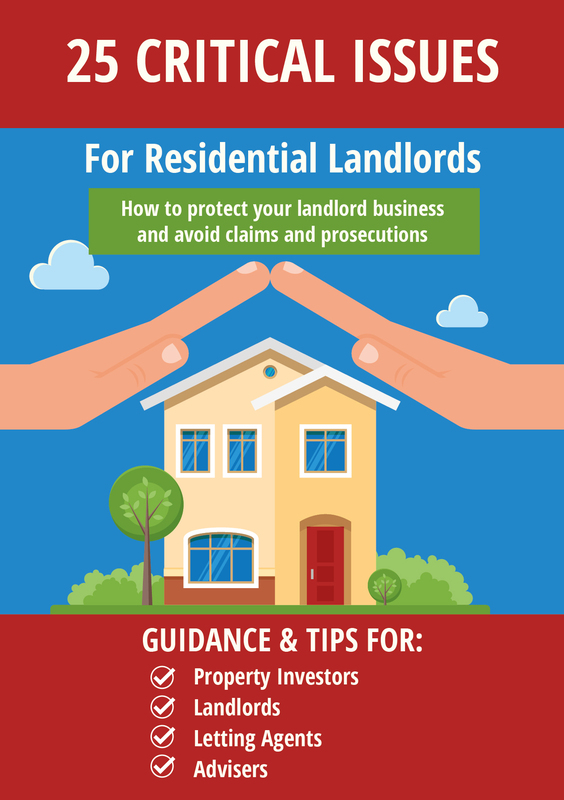 Quick question – will the landlord have to actually attach the booklet in pdf format to his email or will an email linking to the booklet on the internet suffice? I suspect the former but it would be nice to know for sure. But what about when the booklet is updated? Well that is good news as it looks as if this booklet is going to be regularly updated. So, for ‘replacement tenancies’ the booklet will have to be re-served if it has changed but not otherwise. 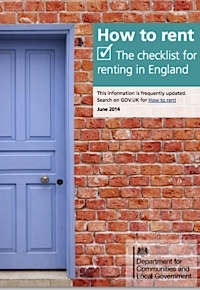 But what are ‘replacement tenancies’? This will include situations where a new tenancy agreement is signed between the same landlord and the same tenants for the same property. What then about when the fixed term ends and the tenancy continues under a new ‘periodic tenancy’? My view is that periodic tenancies are included as the wording of s21(7) would appear to include them. Nowhere that I can see are tenancies created by s5 of the Housing Act 1988 (the section which provides for periodic tenancies) specifically excluded. As, for example, they are in the new s4(C ) of section 21 which says that they (ie periodic tenancies) do not apply to the new section 4(B) on time limits. So my view (but I may be wrong – please tell me if I am) is that this section includes periodic tenancies within the definition of replacement tenancy. So this means that after the fixed term ends – if the tenant stays in occupation (whether this is under a new fixed term or under a periodic tenancy) the booklet needs to be re-served on the tenant if it has changed since it was served originally. But otherwise not. So to be on the safe side, all landlords and agents need to re-serve it anyway. If that can be done via email, it should not be a huge burden provided you have your system set up to do this. However, I can see a lot of landlords falling foul of this – either because of ignorance or just forgetting about it. If I am right on the periodic tenancy point, does ‘replacement tenancy’ include contractual periodic tenancies or not? I suspect not, which may be another reason to have your tenancy agreement provide for a contractual periodic tenancy. Then on the service of the booklet via email – if it was all right for the landlord to ‘serve’ it by sending an email with a link to the download page, it is arguable that this would be enough as this page will always have the most recent edition. I suspect however that this is too easy a solution and the regulations mean that the pdf must be attached to the email for it to be properly served. If your eyes have almost completely glazed over by this point (or if your arm is hanging by a thread) – I don’t blame you. If something like this were included in a contractual document it would probably be deemed ‘unfair’ because it is so confusing. In fact, the more I looked into it (this post has been some time in the writing) the more problems I found. I think that there is a strong argument for some consolidating housing legislation now – or better still a review of the Law Commission’s 2006 report – now being implemented in part in Wales. We need serious simplification of this law. My eyes didnt glaze over at all. It was the laughing that kept me awake. Here we go again. The words piss up and brewery spring to mind. What is it with this lot? I note the booklet seems to only apply to England – what is the situation in Wales? These new rules do not apply in Wales. In Wales a completely new system is on its way, as set out in the Renting Homes (Wales) Bill. In my view, all these new requirements are rather useless red tape but this one takes the cake. “If I am right on the periodic tenancy point, does ‘replacement tenancy’ include contractual periodic tenancies or not? A replacement tenancy is any new tenancy following the initial one, so contractual periodic tenancies can of course be replacement tenancies. Now, a tenancy starting with a fixed term and continuing periodically (if that is what you mean by “contractual periodic tenancy’) is a single tenancy so obviously there is no replacement tenancy involved. When either initially serving or reserving electronically would serving a link to the leaflet do? This would get around any ambiguity of the correct version as the correct version at the time should always be (by definition) the one at the end of the link. Is serving a link to the information (i.e. “The prescribed information for tenants can be found here (link)”) the same as serving the prescribed information itself? Notwithstanding a Periodic Tenancy that is arising out of an Assured Shorthold Tenancy that is not or may not be considered a Replacement Tenancy that started after 2007 but not after 2009 it therefore be assumed that service of documentation shall be considered void in the event that Easter comes early and that it is not a Leap Year and that some immature housing minister has not had too long a liquid lunch. Glad you liked my clarification above of the Section 21 changes, Tessa. Interestingly you have a short disclaimer, which reads, ‘Important note. If you are reading an old post, remember that the law may have changed since it was written.’ Given the bunch of idiots in charge who are constantly passing new knee-jerk legislation, I think there’s more than a touch of unintended irony in that disclaimer! @Malcolm When you have a blog which stretches back to 2006 there are bound to be a lot of posts which are out of date. I feel a lot more comfortable with the disclaimer! Just attach the latest version of the guide to every tenancy agreement along with another copy of the EPC and, where applicable, the gas record. Tenant signs it, job done. The leaflet has the version on it. Keep up to speed with industry news sources and you’ll soon know when a new one is issued to update your agreements. That’s 45 to 52 pages! Oh, and if it’s one of our Welsh or Scottish properties we have to do it completely differently (and for free of course in Scotland). Adding all this info to protect tenants is just making it less likely that they’ll actually read any of it. The whole situation has become ridiculous. Something has to change. It is to be regretted that Jamie failed to include the possibly many pages to be devoted to establishing the “Right to Rent” of all tenants, including scans of their passport picture pages, visa pages, work permits, birth certificates and other relevant documentation. To avoid any suggestion of partiality or discrimination, this information must of course be provided for all tenants, regardless of nationality, place of birth or ethnic origin. Our CAB were debating whether a periodic tenancy would require the (re)issuing of this today. We were all leaning towards ‘no’ though I am sure some lawyer will have fun when there is a minor change to the ‘How to Rent’ guide and it is not reissued. Oh yes, silly me Martin, how could I forget that! Of course I also failed to mention the 14 page inventory for an unfurnished 1 bed flat, plus check-in (complete with smoke detector tests). Oh, and or our ‘Tenant Welcome Pack’ with useful info and contact numbers etc. Thanks for this post. What I cannot see is what is the penalty for NOT serving the new prescribed information. Any idea? Can someone assist? What would you do in the situation where the tenancy agreement starts months before they move in? Do you give a copy of the EPC/Gas/ How to rent when/just before they sign tenancy agreement? Or on the day they move in? Or both?